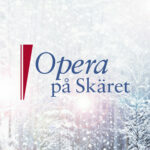 Opera på Skäret invites professional singers to audition for a new full scale production of Die Zauberflöte. The production will be staged at the main stage in the summer of 2019. We give 14 performances with two casts singing 7 performances each. The production will be sung in German. We search for singers in all principal roles! Opera på Skäret will present a romantic interpretation of Mozarts masterpiece so we require voices with a carrying squillo for a big stage and a carrying speaking voice. Rehearsals starts the 24:th of June. We rehearse Monday-Saturday each week until the premiere. All artists must be available the whole period of rehearsals and will have to be present i Kopparberg at all dates of performances in case of sudden illness in the other cast. Prepare the music from the role you are applying for in Die Zauberflöte AND a shorter monologue in German. We provide with pianist and there will be rooms for a shorter warm up session. Each singer is scheduled to get 10 minutes at the most. Bring your sheet music for the pianist. Along with your application we require an updated CV , sound recording and videoclip from the singer before we can offer an audition slot. The recording alone will however not be considered as an audition. We do not cast any role without a live audition!